In 1996 Michael Goldwasser founded the reggae label Easy Star Records in New York City. 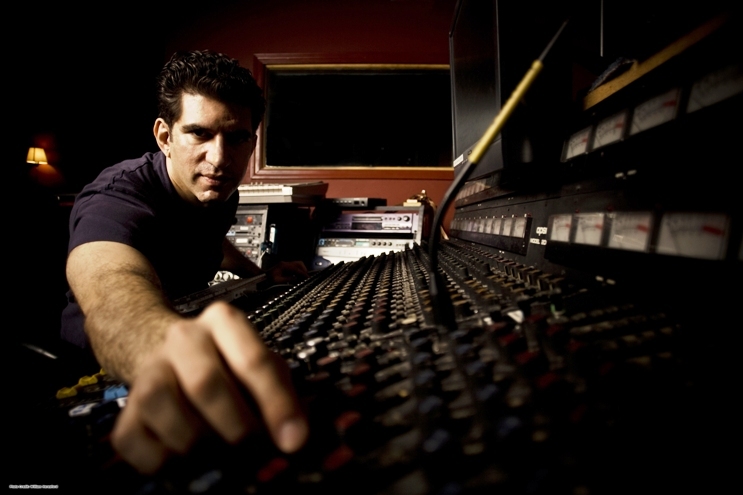 Over the years ESR has produced records for artists including Toots & the Maytals, Steel Pulse, Matisyahu, Israel Vibrations and Sister Carol, and proved to be a force in the world of reggae music production. 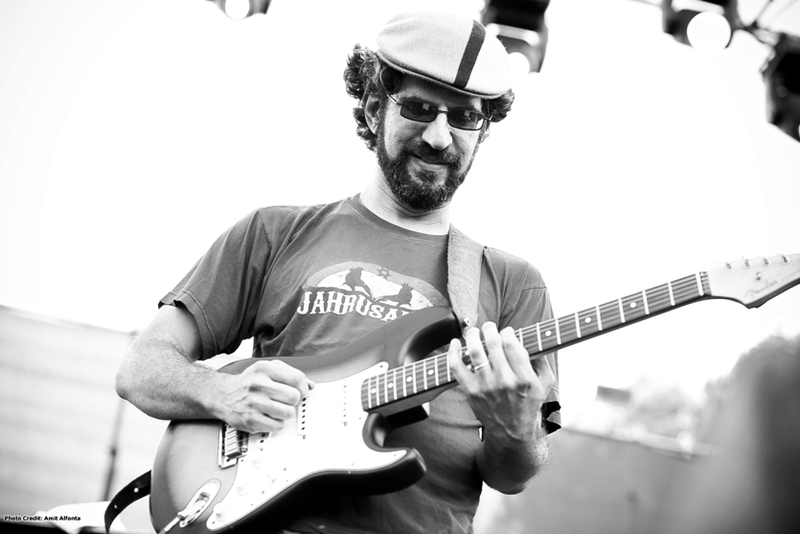 A year after starting ESR, Goldwasser helped found the reggae collective Easy Star All-Stars. In addition to releasing an EP and an LP of original material over the last 15+ years, ESAS have made their mark on the music world via their re-interpretation of classic rock and roll records. To date, they have done remakes of Dark Side of the Moon by Pink Floyd, OK Computer by Radiohead, and The Beatles’ Sgt. Peppers Lonely Hearts Club Band in reggae form. Goldwasser chats with Grateful Web about the bands latest release, Thrillah, a reggae tribute to Michael Jackson’s Thriller, the challenges and rewards of re-interpreting and producing such records, and his mission to broaden the worlds understanding and appreciation of reggae music. GW: This is Dave Papuga with the Grateful Web. Today I have the pleasure of speaking with Michael Goldwasser, co-founder of the reggae collective Easy Star All-Stars and also co-founder of New York City-based Easy Star Records. How are you doing today, Michael? MG: I’m great, thanks for having me. GW: Thanks for taking the time to chat with us. First of all, your latest release, Thrillah, a tribute to Michael Jackson’s Thriller, is due out in about a week, I believe on the 28th, which is the day before what would have been Jackson’s 53rd birthday. I am fortunate to have been able to preview the record and I’ve got to say, I was completely blown away. Thriller was one of the first LPs that as a kid I had a physical copy of, and being a big reggae fan, your album is really hitting home with me. MG: Thank you very much. I was in the same boat. I was a kid when the record (Thriller) came out, and like many young people and old people all over the world, I was enthralled with it. To be able to go back, almost 30 years later and investigate it on a whole new level, and really think about the production and the arrangements and how I could turn it into reggae, was a really interesting and fun trip for me. GW: It’s been on repeat on my iPod for the last few days…Cas Haley on “Human Nature” is just amazing. It’s taking me back to hearing that song on the phonograph as a kid. It’s a song everybody knows, and to revisit it in reggae form is really something. The release of the tribute to Thriller marks the first non-British tribute album you’ve done—in the past you’ve covered The Beatles, Radiohead and Pink Floyd—and it also is the first non-concept album. What made you decide on Thriller? MG: One of the most important criteria for any of the albums we choose is that it’s got to be—whether it’s a concept album or not—it’s got to be a collection of compelling and great and interesting songs, and Thriller definitely fits that bill. But we also felt that it was important—it’s not that we decided, “we’re not going to do a British artist or a concept album”—it’s more about taking some kind of break from doing a rock group, and instead, essentially doing an R&B or an R&B/Pop album. Personally, I feel that R&B music is very important to the history of reggae. There would really be no reggae as we know it without the influence of black-American music. I feel that is lost on a lot of people, especially the younger generation of reggae fans in the U.S. They like Bob Marley, of course, and they love the current crop of American reggae bands like The Green and Revolution and Souljah, which is great, but those bands are more rock influenced, coming from the rock/reggae kind of vibes. There is a lot of the reggae, from the beginnings of ska in the early 60s, up through rock-steady and reggae, that were very much informed by what was going on on black-American radio, and it still is to this day. Dancehall in Jamaica—whatever song is being recorded right now is probably informed by what’s going on in hip-hop or modern R&B. So, it’s just an important connection—I’m not trying to be all preachy to the fans—but it’s more about just having a greater understanding of this music…and the music is all related, whether it’s R&B or reggae from Jamaica or afrobeat from Nigeria—which we reference on the very first song on the album—it all just comes together as music. We felt that it was important to make some kind of statement about the importance of R&B, and about the importance of Michael Jackson—he is a very revered artist in Jamaica, and this is the first album that we’ve done that with the guest artists, I can go to them and talk about it and they knew the songs already. Especially with Pink Floyd and Radiohead, none of them really knew or had heard of some of these groups, like, they knew The Beatles, but they didn’t actually know the songs that are on Sgt. Pepper’s, so it was kind of refreshing to be able to work with artists who embrace the original material on a different level. GW: It’s a bit of a history lesson, for those who want to dig into it, especially the younger generation who may know of Michael Jackson from hearing him on the radio or hearing their parents play him. ESAS have covered some top-tier musicians; have you drawn any responses directly from any of the original artists? MG: Yes, we have, actually. After we put out Dub Side of the Moon…we were working closely with Pink Floyd’s publishers and their management, so we had access to them, and we sent them copies. Roger Waters sent us a fax—because this was 2003, the old days—he sent us a fax, and it was so funny, it said “Thank you for sending me the album. I read the liner notes. It’s my policy not to comment on covers of my work.” So, we don’t know if he liked it or not, but at least he got it. About a year or so later, someone alerted us to a broadcast on BBC1 Radio where David Gilmour was being interviewed, and the host of the program asked him about Dub Side of the Moon—and he actually knew it. He said that it was great fun, and that he wished that he had seen us the last time we were in London. It was cool to hear David Gilmour say that. Clare Torry, who sang on the original “Great Gig in the Sky,” on Dark Side of the Moon, is actually a fan of ours and has come to several concerts of ours when we’ve played over in the U.K.—so that’s really cool. Radiohead, we know, are fans. One of the things that sparked us into doing OK Computer was that Radiohead was playing Dub Side of the Moon over the PA system either before or after their concert. We thought “wow, that’s a great connection.” So, it turned out that they were fans of Dub Side of the Moon, and we involved them early in the process. We sent them some rough mixes of the songs, and the response was, “if it’s as good as this stuff, you’re going to have a great album, go ahead.” That was pretty cool. After it was done, we sent copies to them, and right before the album came out, they were doing a short tour of the U.S., and Thom Yorke, from the stage at a concert in Philadelphia, actually talked about our album. He really loved our version of “Let Down,” which features Toots & The Maytals, and so he talked about it, and that was amazing press for us. Later we did get responses, through their management that they really loved the album and loved the attention to detail. For me, as the arranger and producer, it really meant a lot. Haven’t heard anything from the surviving members of The Beatles yet—that would be really cool. Yoko Ono did hire me to do a remix for one of her songs, but I still don’t know if she’s actually heard our version of Sgt. Pepper’s or not. It feels great to have the original artists appreciate all we did. For me, especially, spending so much time and effort working on these albums, to know that I was able to make the original creators happy was a really good feeling. GW: You got that top-level approval, so to speak. MG: Now when purists say, “You can’t touch Pink Floyd”—well, Gilmour liked it, so I don’t feel too bad about that. GW: You’ve got some backup. I’ve read that Johnny Greenwood (Radiohead guitarist) is a big reggae and dub fan. GW: So, Michael, in 2011, First Light came out, your first full-length release of original material. It definitely showed—in addition to 2008’s Until That Day EP—that ESAS are capable of writing solid, original songs. Is there any chance of more original releases in the future? MG: I’d like to think that we would do another album of originals. They don’t sell as well as our tribute albums, and that’s understandable. I’m really hoping that our version of Thriller will open new doors for us and gain us a lot more fans. It always has an artistic merit, to do an album of originals, but with our records we have to make sure that we at least break even on them. I do feel like we got a good response to First Light and the EP that came before it, Until That Day, so hopefully the fanbase will continue to grow and think of us as a band that does originals as well, which would make it easier for us to do another album of originals. GW: I saw ESAS last summer with Umphrey’s McGee at Red Rocks, in support of First Light and the crowd was fully into it. At the same time, I understand that you have a reputation for doing tribute albums, but I think your balance of originals and covers is going to help the originals seep into the souls of the fans just as well. MG: We believe that as well. GW: It must be equally as rewarding to remake covers of classic albums as it is to put out your own original material. Would you discuss the differences as far as the rewards that you reap between the two? MG: Yeah. But for me it’s a rigorous intellectual and creative exercise. I spend months and months and months working on these arrangements before we can record anything. So, in a way, it’s actually…they’re both enjoyable, because I love writing songs and I love working with the people in the band who are writing their own songs for the album. It’s just this great, creative energy where everyone feels good about making something new, making something out of nothing; that’s a great experience. But it’s also a great experience for me to have the challenge of trying to take something, especially something well-known and put my own stamp on it and take it to a different place. There are thousands of covers in the history of reggae. It’s part of what they do in reggae—people do covers. We’ve created this new standard for ourselves—where we’re going to do entire albums, and we need to make every song interesting in it’s own right and we don’t want any two songs to really sound like each other. It’s a really interesting and cool challenge that we’ve set up for ourselves. GW: When ESAS tours, you have a tendency to sit out most of the shows. Will you be at any of the shows on this year’s tour? MG: I love performing. There’s nothing like being able to play these notes as a band and within seconds you get reactions from the audience. It’s a very cool and rewarding feeling. But, for me personally, I’ve done that enough in my life that now I’d really rather just be in the studio producing records…and also, I get to spend more time with my family when I’m home in New York instead of traveling around with the band. That said, I always play any shows that we are doing in New York or in the New York area, and I’m certainly going to be on some of the shows on this upcoming tour. Even without me there, even though I founded the band and created it and am directing it from behind the scenes, the band is great without me, too. When I’m in the studio making these albums, it’s very much my vision as the producer, but it’s also fun for me to hear how the musicians, once they’re on staged, are going to interpret things differently. I think it’s also, hopefully, fun for the audience. I’ve never been one of those people who wanted to go to a concert and have it sound exactly the way it did on the recording. There are some bands that do that and there some fans who expect that, but I always like to think of a recording and a live performance as two very different things. GW: On this tour, do ESAS have any plans to perform the new record front-to-back in it’s entirety? MG: At this point, we don’t have any plans to play it front-to-back, or back-to-front in it’s entirety, but we’re going to be playing all the songs from the (new) album, or the majority of the songs, and I am hoping there are going to be some cool occasions where we can do a certain show where it’s promoted as such, and we can create an event around it to draw people out. We’re going to be touring starting this fall—through 2013—as long as the people want it, so hopefully we’ll have plenty of chances and cool opportunities to do things like playing the whole album straight through. GW: With Easy Star Records, would you give us a sneak-peek on current or future projects that you have in the works? MG: We have a couple of new songs with The Green, who is a band that we put out. We put out their last album, Ways and Means, last October. They are a really exciting young band from Hawaii. All four (members) are great lead singers, and they can harmonize. They’ve been touring so much over the last couple of years; they just finished Warped Tour. They played every date on that, which was a great honor. They’re going to be touring again in the fall. They have a new song, and a remix of a song from Ways and Means, and that’s going to be dropping in mid-September. We’re excited about that. They are also on ESAS’s Thrillah; they play on the song, “Baby, Be Mine,” which is the second song on the album, so it was great to work with them on that. Otherwise, we have some stuff in the pipeline that we haven’t dotted all the I’s and crossed all the T’s on yet, so I can’t really say, but there is a lot of great stuff coming up. GW: You’ve done production work for some of the greatest names in music, reggae in particular—Steel Pulse, Toots and The Maytals, Mighty Diamonds, Israel Vibrations, as well as The Black Seeds and Cas Haley. Who are some artists that you would like to work with in the future? MG: There are many artists that I would love to work with. I think I’ve worked with most of the reggae artists that I have wanted to work with, which is great for me, growing up as a reggae fan. I would never have imagined that I’d get to work with all of these cool artists. Like Steel Pulse—I’d idolized them since I was a teenager—now I actually know the guys, work with them and can hang out with them—it really blows my mind. But, I love all kinds of music, and I would love to work with, say, some R&B artists that I really admire. I’d love to do a record with Alicia Keyes, I think she is phenomenal, and I know she’s into reggae, so…but it wouldn’t even have to be a reggae record, it could be straight-up R&B or whatever. I’d love to work with Stevie Wonder—if we’re talking about wishlists—he’s one of my favorite artists. I love the Isely Brothers, but they are somewhat dormant these days…they’re not really all together as a band, but I’d love to work with them. What I would love to see happen, is that reggae as a genre of music gets taken a little more seriously by the wider music world. So many people like reggae when they hear it, but they are not really exposed to it. I would love to be able to bring my ability as a reggae producer, and as somebody who knows how to adapt other styles, to reggae and work with artists in all different genres: pop artists, rock artists, R&B artists—just to get reggae out there more, and see where we can take it. Part of Easy Star’s mission has been to spread reggae to a wider audience by doing things like getting Pink Floyd fans, who probably never listen to reggae, to hear Dub Side of the Moon, realize they like it, then they start listening to other reggae. We have a lot of anecdotal evidence of that happening. I would love to be able to stretch it even further by working more and more artists from diverse genres. Check out ESAS in a city near you.